Finding the ideal spa holiday for a family is difficult on any given day and virtually impossible when everyone has their own view for an ideal holiday. Some prefer spa and relaxation others sport and fitness or maybe a touch of local culture. Younger family members will always expect some fun! So have I have ever come across the ideal family resort that gives you all of the above? Well not until last month, when I visited Puente Romano, Marbella. 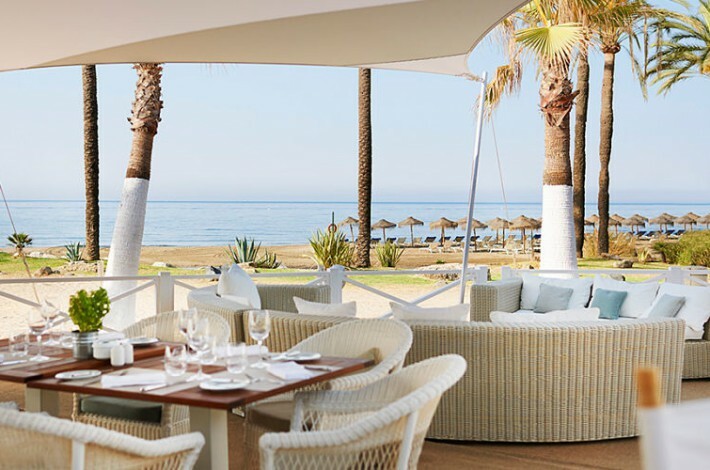 Puente Romano on the south coast of Spain replicates an Andalusian beachfront village and has everything a family expects for their perfect vacation, from a first century Roman bridge running through the heart of the Hotel to its internationally renowned tennis facilities. It has something for everyone. In more detail, for those after spa and relaxation the hotel boasts the renowned Six Senses Spa complete with quality and expertise. The Spa complements the charming and peaceful character of the resort that is enhanced by its botanical gardens. There are also regular classes for Pilates and yoga too. Family members who prefer to be active and sporty, then look no further than Puente Romano which hosts international tennis tournaments at its facilities, known to be one of the best in Southern Europe. Former participants include Boris Becker and John McEnroe. The tennis club has ten courts eight clay and two hard courts plus for fun, four paddle courts too. The coaches are experienced in coaching beginners to the most talented players. The hotel also has a ‘state of the art’ fitness centre and three outdoor swimming pools. There is plenty of culture around Puente Romano too starting with the Roman bridge that the hotel is named after. There are local markets in walking distance that sell local produce and gifts and the hotel also sits conveniently between Marbella and Puerto Banus both towns are walking distance from the hotel and ideal for shopping and eating out. If you get the chance, do wander over to the newly refurbished nightclub on the resort. Not an ordinary club it has great ambience, music, clientele and hosts that are sensitive to all you needs. Worthy of its popularity with the locals. Finally, no family vacation is complete without the sun and fun factor. Puerto Romano has both in abundance. Puerto Romano has direct access to the beach managed by the hotel and between June and September the fun really gets going with banana rides, jet skis, sailing, water cycles and paddle surf. For younger children Puerto Romano has an active kids club with spacious games areas that include all the essentials to keep the most active child content. Finally, the ‘icing on the cake’, is that the resort has plenty of sunshine throughout the year.